Occasionally I like to share our travel adventures with you, and since we just returned from our spring break vacation, I thought I would share a little bit about our trip. We headed north to visit my family in Indiana (and we celebrated Aiden’s 8th birthday! How is that possible? ), but we stopped at Ruby Falls in Chattanooga, Tennesee first. Have you ever been? It’s spectacular. They even have a light show set up. I hadn’t been since I was a little girl, probably around Aiden’s age, actually. I wanted to share this special place with our boys though, because we have some family history attached to it. 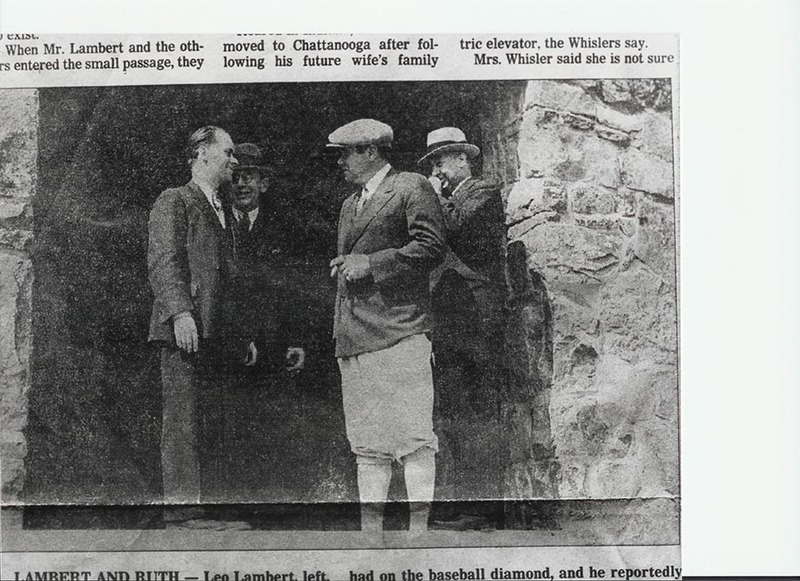 A man named Leo Lambert discovered Ruby Falls in 1928 while exploring a cave in Chattanooga. He named it after his wife, Ruby, and it opened to the public in 1930. 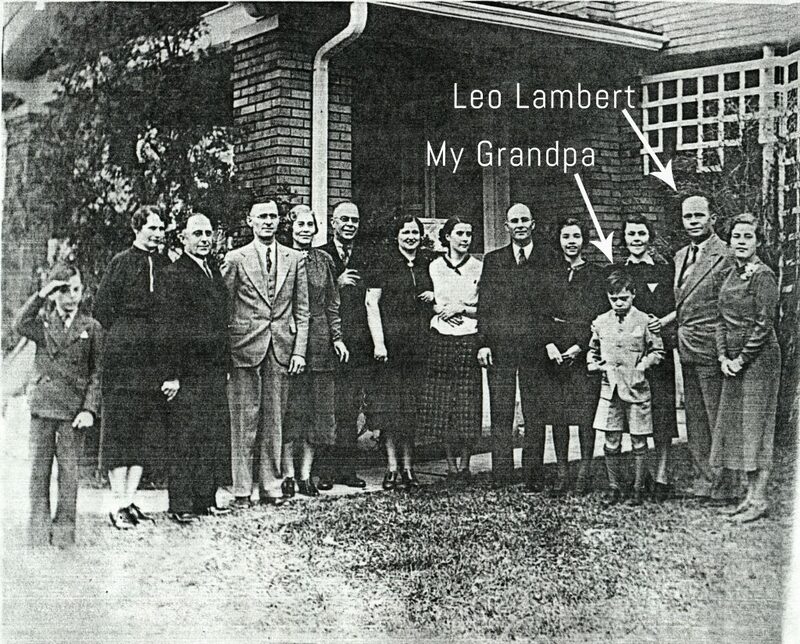 Leo was my great-grandmother’s brother. In the early 1900s, the Southern Railroad Company built a tunnel through Lookout Mountain, which sealed off the entrance to Lookout Mountain Cave (a popular public attraction at the time). Because of this, the cave was closed to the public. Leo loved exploring caves, and he really wanted to reopen it to the public. In 1923, he (with help from investors) decided to drill an elevator shaft into the mountain to access the cave from above. Construction began in 1928, at which point a worker drilling the elevator shaft felt a gush of air coming from a void in the rock while jackhammering the mountain. (This was at 260 ft., still 160 ft. above Lookout Mountain Cave.) They discovered an opening 18 inches high and 5 feet wide, so Leo and a small crew decided to crawl inside and explore this little cave. In doing so, he discovered the beautiful falls—the entire round trip to the falls and back took 17 hours. 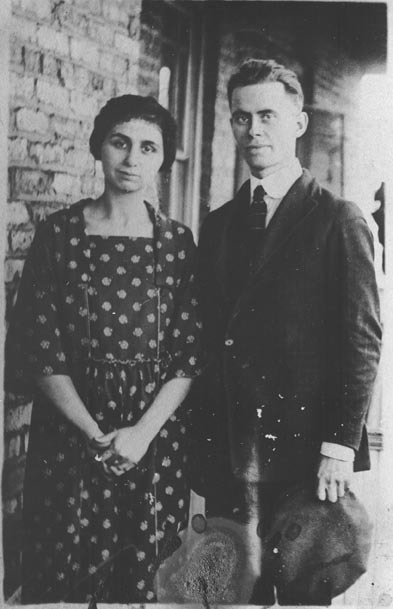 In 1930, Ruby Falls (named for his wife, Ruby Lambert), opened to the public. Here are Leo and Ruby. Fun fact: Babe Ruth was one of the investors. Here he is with Leo. My dad and grandparents decided to meet up with us in Chattanooga for the trip, as they wanted to experience this fun adventure with our boys. Leo was my paternal grandfather’s uncle; and my grandpa’s cousin (Leo’s granddaughter) still runs a little gift shop up the road from Ruby Falls, so we stopped off there and met her after our tour of the falls. She showed us some old family photos, and told us stories about her grandpa Leo and grandma Ruby. She even has the boots he wore while exploring the cave on display in her shop. She was so sweet to us, and gave our boys t-shirts as souvenirs. If you’re ever in the area, be sure to stop in the Mountain Memories gift shop just up the road. I had forgotten how long the walk through the cave is. The guided tour lasts a while as the cave leading to the falls takes a while to hike, but it’s well worth it. I can’t even fathom the fact that when Leo was exploring the caves, he entered through an 18 inch high opening and had to crawl through a narrow passageway for hours, until he finally came to a drop-off where he could stand. Jeannie (his granddaughter/my grandpa’s cousin) said that when he came to the drop-off, he thought he was dead. Then he realized he could stand, and walked the rest of the way to the falls. Can you imagine how claustrophobic that entire exploration trip would have been? But I’m glad he was curious and adventurous enough to do it, because it’s an amazing landmark and an awesome wonder to see. The most interesting thing is that to this day, they still have no idea what the source of the water is. They know that it flows into the Tennesee River, but they don’t know exactly where it’s coming from. 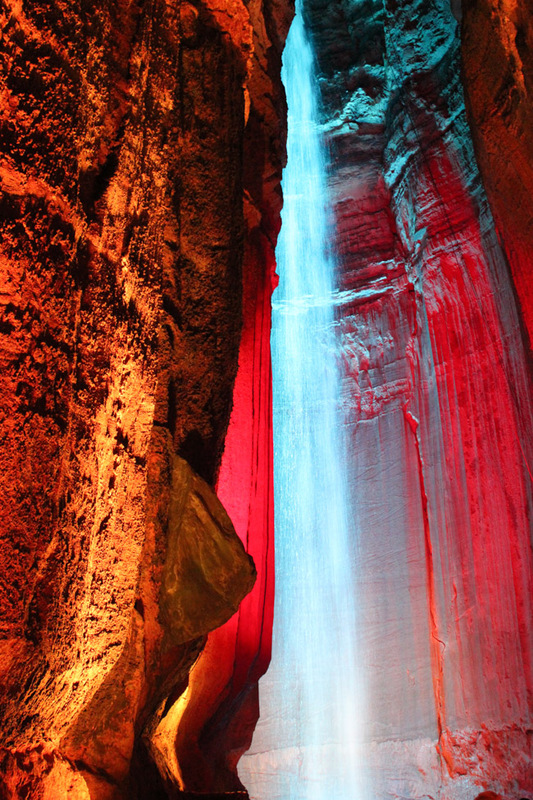 Find out more about Ruby Falls here. If you’re ever passing through Chattanooga, Tennesee, be sure to stop there for a visit! Lookout Mountain and Rock City are nearby too, and we hope to hit those next time. See more of our travel adventures here. 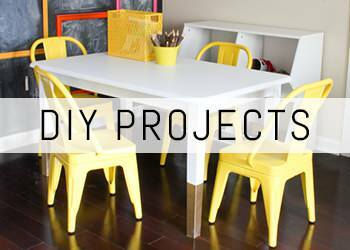 For home and DIY content, feel free to check out my project gallery here. Thanks, Gretchen! Glad you’ve had the chance to visit. It’s a fun place! Thanks so much for the information about the Ruby Falls and the Mountain Memories Gift Shop. I love to travel and will definitely keep this in mind. Thanks for stopping by, Bonnie! 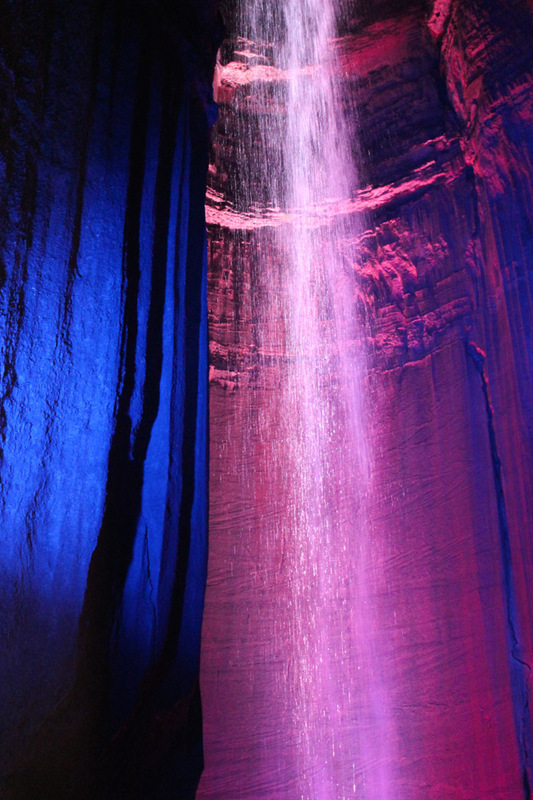 Hope you get a chance to visit Ruby Falls sometime! Beautiful. What a great family history and legacy. Thank you for sharing. I used to live in Chattanooga and always go to Ruby Falls when I’m in town. 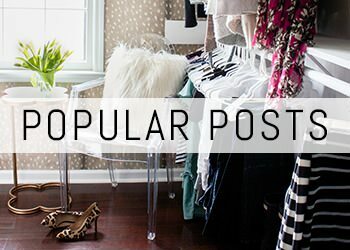 Loved reading about your family! Thanks, Erika! Chattanooga is a fun city. I’m sure it was a great place to live. Glad you’ve been able to visit Ruby Falls! I’m a life-long resident of Chattanooga and I love Ruby Falls. If you ever decide to visit Rock City you need to do it a Christmas. The lights are magnificent. You could spend a week in Chattanooga seeing all the sites. It’s a beautiful and awesome place to live and visit. I really enjoy reading about your family connection to Ruby Falls. And I learned something from you. I didn’t know that Babe Ruth was an investor. Thanks for the info. 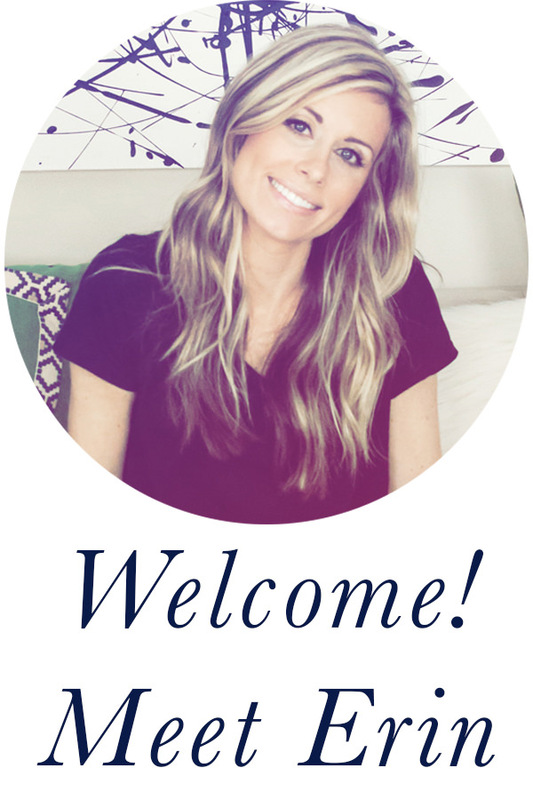 Thanks for reading, Stacye! There’s definitely a lot to do in Chattanooga. I’m sure it’s a wonderful place to live! We hope to visit again soon.